Dyson Ball Multifloor 2 vacuum cleaner is one of the best bagless vacuum cleaner from Dyson. 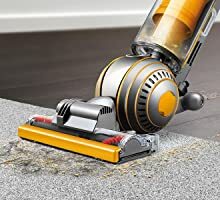 Deep clean your carpets with this practical Dyson Ball MultiFloor 2 vacuum, which comes with a self-adjusting cleaner head for great results on a range of floors. With a generous 30-foot cord length, this unit easily travels through large rooms and up stairs. 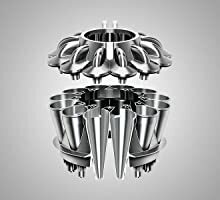 The Dyson Ball MultiFloor2 vacuum’s HEPA filtration system makes it ideal for commercial or residential use. 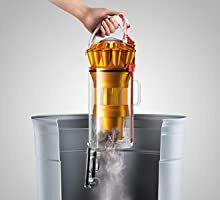 Dyson Ball Multifloor 2 vacuum cleaner. A slimmer design allows the Dyson Multi Floor 2 to turn on a dime, steering easily into difficult spaces. It's ideal for homes with hardwood, tile, and carpets. 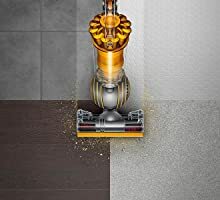 The Dyson MultiFloor 2 has an advanced self-adjusting cleaner head that automatically adjusts between all floor types - sealing in suction for a powerful clean across your entire home. Its wand and hose release in one smooth action to make it easier to clean up high and under furniture. With hygienic bin emptying, there's no need to get your hands dirty - just push the button to release the dirt. Whole-machine HEPA filtration ensures that allergens and bacteria are trapped inside the machine, not expelled back into the home. 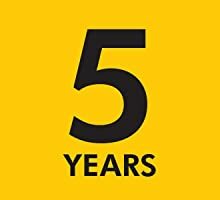 Dyson free 5 year warranty covers parts and labor, plus free shipping there and back. *Suction tested to ASTM F558 at the cleaner head, dust-loaded against upright market. 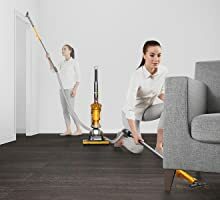 In a nutshell, the Dyson Ball Multi Floor 2 would be a great vacuum for most, but perhaps a little on the large side for those who live in small apartments where storage is at a premium. 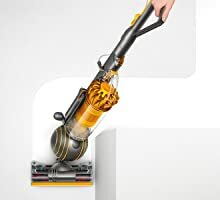 Dyson Ball Multi Floor 2 is light to maneuver and steers easily into difficult places. Instantly change direction with a turn of the wrist. Seals in suction across all floors. Turns on a dime to maneuver easily around furniture, obstacles and into difficult places. Active base plate automatically raises and lowers to seal in suction across all floors. All Dyson upright vacuums come with a 5 year warranty - parts and labor.